The Cleveland Indians discovered a brilliant way to divert attention from their pronounced offensive woes. After flirting with the team’s first no-hitter since 1981, the Indians look to record consecutive wins for the first time this season on Friday when they continue their four-game series against the visiting Toronto Blue Jays. Trevor Bauer tossed seven no-hit innings in Thursday’s 4-1 series-opening victory, with the Blue Jays spoiling history with a brief ninth-inning rally. While the win was emotional for the Indians, it didn’t do much to alter the team’s early-season woes at the plate. Cleveland’s offense came as a result of a fielder’s choice, two sacrifice flies and a bases-loaded walk, bringing its season total to 17 runs in six games as it deals with the injury absences of Francisco Lindor and Jason Kipnis. “Besides (Jose Ramirez) and (Carlos) Santana, you have a lot of guys maybe in their first time in a starting role,” said Kipnis, who will begin a minor-league rehab assignment with Triple-A Columbus on Friday. The 35-year-old Ramirez, who has Cleveland’s lone two homers this season, is expected to be back in the lineup on Friday after sitting out the series opener. “I just thought I’d rather be one day too early than one too late,” Indians manager Terry Francona of the decision to sit Ramirez. “He showed up in spring training late and he’s been in every inning of every game.” Right-hander Shane Bieber (0-0, 4.50 ERA) will make his first start of the season after allowing one run on two hits while striking out two in a relief appearance against Minnesota on Sunday. 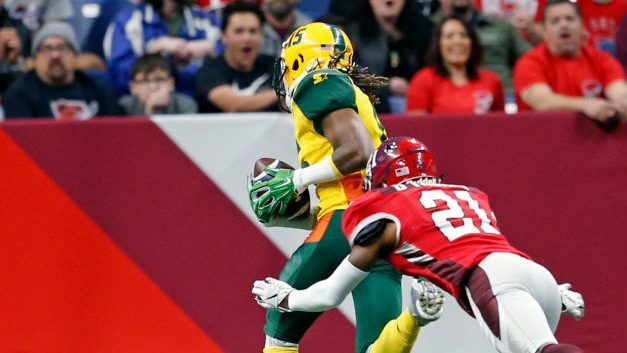 According to a report by Adam Schefter at ESPN, the Carolina Panthers have signed former AAF wide receiver Rashad Ross, who had been playing for the Arizona Hotshots. Ross played his college football at Arizona State, where he posted 55 catches, 864 receiving yards and seven touchdowns in two years. At 6-foot, 180 pounds, he’s likely to be in the mix for the last wide receiver spot on the team, formerly held by Damiere Byrd, who is now with the Cardinals. Ross was one of the standouts in the AAF. He caught 36 passes and led the league with seven touchdowns. According to Pro Football Focus, he also had the league’s highest receiving grade. This won’t be Ross’ first stint in the NFL. He has been on a bunch of practice squads and most recently played in a game for the Redskins in the 2016 season. His primary job has been as a kickoff return specialist, with 812 career yards and a touchdown on 34 attempts. Ross should also compete for that role in Carolina. Ross, 29, becomes the second AAF player to sign with an NFL tea. The Kansas City Chiefs signed cornerback Keith Reaser. The AAF suspended operations earlier this week and announced Thursday that all of the league’s players were allowed to sign with NFL teams. DJ Moore and Torrey Smith, who both averaged less than 50 receiving yards per game in 2018 and combined to score only seven touchdowns, are listed as the starters with Jarius Wright and Curtis Samuel as their backups. Running back Christian McCaffrey was Carolina’s leading receiver last season with 107 catches for 867 yards and six TDs. His 107 catches was almost double Moore’s total (55) for most among wide receivers and tight ends. The Atlanta Braves will try to finish off a three-game sweep of the visiting Chicago Cubs on Thursday night. Atlanta has won two games in a row after dropping its first three games of the season. The Braves have notched back-to-back wins over the Cubs, including a 6-4 comeback victory on Wednesday night, and are looking to climb back to .500 on the year. Meanwhile, the Cubs will try to snap a four-game losing streak on the heels of another disappointing defeat. 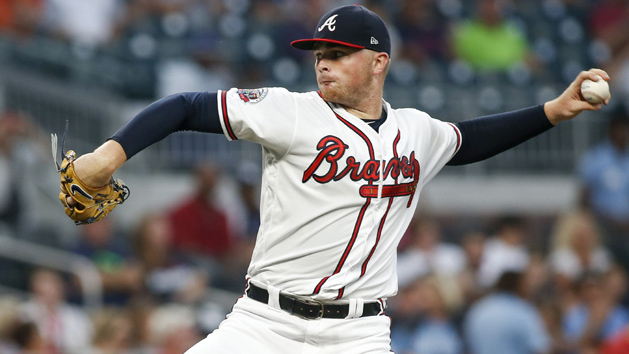 The bullpen squandered a 4-2 advantage during the eighth inning after right-hander Steve Cishek walked the bases loaded and southpaw Randy Rosario allowed a three-run double against Johan Camargo to lead the Braves to a come-from-behind win. A victory in the series finale could help the Cubs move past their cold start to the season. Braves left-hander Max Fried (0-0, 0.00 ERA) is scheduled to make his third appearance and first start of the 2019 season. The 25-year-old Fried won his only previous appearance against the Cubs, limiting the squad to one run in five innings. Fried went 1-4 with a 2.94 ERA in 14 games (five starts) in 2018. He struck out 44 batters in 33 2/3 innings. Chicago is expected to counter with right-hander Yu Darvish (0-0, 10.13 ERA), who is scheduled to make his second start of the year. The 32-year-old Darvish has a 5.27 ERA in nine starts with the Cubs since a year ago. In his lone previous start against the Braves, Darvish allowed six runs. 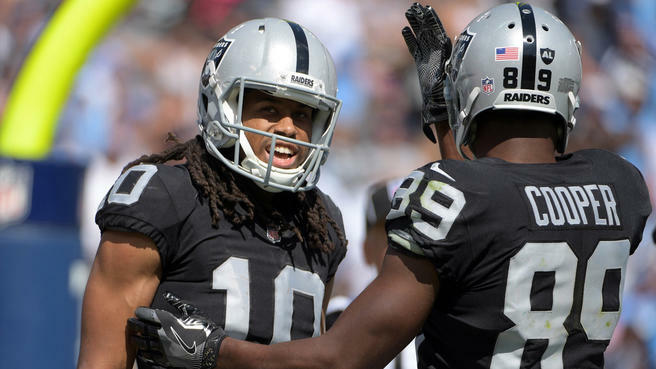 The Oakland Raiders continued making adjustments to their wide receiver depth chart Thursday, releasing veteran Seth Roberts. ESPN’s Adam Schefter reported the news. Roberts, 28, was set to make $4.5 million in base salary next season. He recorded a career-high 45 receptions for 494 yards and two touchdowns in 2018. The Raiders have completely revamped their receiving corps this offseason by trading for Antonio Brown and signing Tyrell Williams, J.J. Nelson and Ryan Grant. Roberts likely would have struggled to find playing time as the team’s fourth or fifth receiver and may have wound up even farther down the depth chart if Oakland takes a wideout early or Marcell Ateman continues developing. Roberts shouldn’t have any trouble attracting some level of interest in free agency. He’s shown a deft ability to be productive underneath and has soft hands; his 45 receptions last season came on only 64 targets. The best moment of Roberts’ Raiders career came in 2016, when he caught a 41-yard game-winning touchdown pass in overtime against the Buccaneers, somehow evading two defensive backs in the process. The win pushed the Raiders to 6-2 overall and 5-0 on the road to start the season en route to their first playoff berth since 2002. Wilson has one year remaining on his current four-year, $87.6 million contract, but it is typical for teams to sign key players to extensions before they enter the final year of their contracts. Wilson signed his current deal July 31, 2015, the day training camp opened, with the two sides agreeing to the contract the night before. That fit the usual Seahawks timeline under general manager John Schneider and coach Pete Carroll of getting significant extensions done in the late spring and summer. “Oh, yeah, if that’s what I’ve got to do,’’ Wilson said the day after the 2019 season ended. “It’s business and everything else and I know essentially after this season I could potentially be a free agent, that kind of thing. I don’t think that way — I see myself being in Seattle. I love Seattle, special place for me. 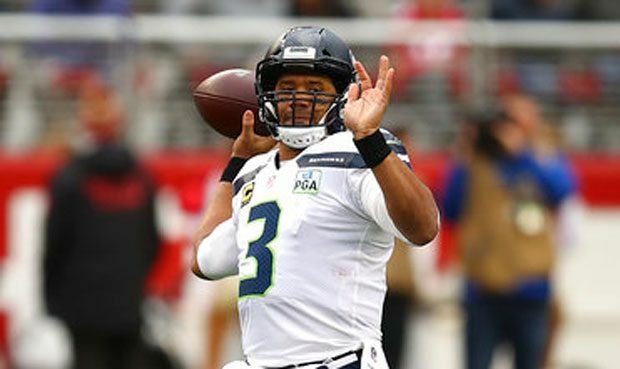 I also understand it’s a business world and everything else.” The Seahawks have said consistently they hope to get something done with Wilson this offseason to secure his Seattle future. 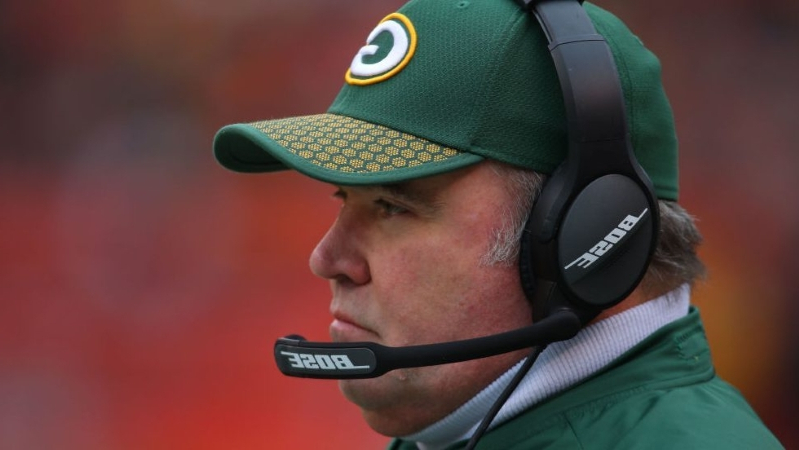 Mike McCarthy has been spending the past few months trying to find a routine. The former Green Bay Packers coach, who was unceremoniously removed from his job with four games remaining in the 2018 season, is trying to find some semblance of normalcy in his first year outside of coaching in over three decades. Finally, this week he spoke out for the first time about the circumstances around his firing, his reaction to it, and how he plans to spend the next year despite still living in Green Bay. It’s clear that McCarthy is unhappy — pissed off, even — about how the firing was handled. It seems that much of his frustration is focused on Packers president/CEO Mark Murphy, who was the person who delivered the news to him. One of Murphy’s public comments also resulted in some bristling for McCarthy: when Murphy revealed that a players’ council, which the team compiled to help provide input on a new coach, communicated a feeling of complacency. As far as the split, it’s becoming clear that it was necessary. Mike’s wife, Jessica, even told her husband she was “relieved” for him in the immediate aftermath of the firing, in part because the job as “beat the hell out of” him in recent years. But the Packers’ handling of the situation, the timing and the delivery of the decision, deserves to be criticized. It marked the first time in more than 60 years the Packers made a midseason coaching change. And team president Mark Murphy did it to a coach who not only led the Packers to nine playoff appearances, a Super Bowl title and helped rewrite the team’s offensive record books, but also one who endeared himself to the community with the McCarthy Family Foundation, which raised more than $9 million for local, national and international charities, including the American Family Children’s Hospital. 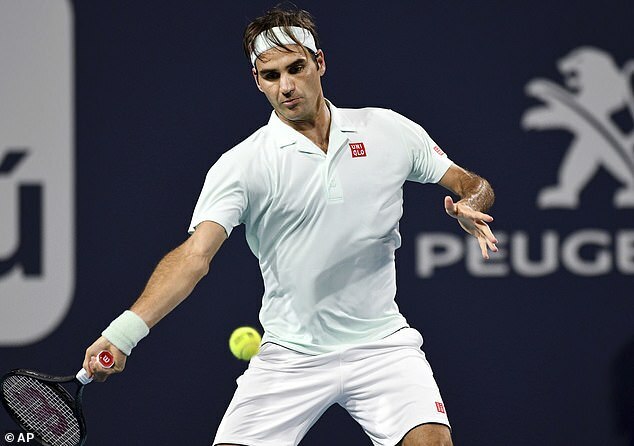 The victory for Federer also clinches his 101st career championship. He won the event Sunday by beating John Isner 6-1, 6-4. “This is a good phase, a good stretch for me right now,” Federer said. Federer was the Dubai champion March 2, and runner-up to Dominic Thiemat Indian Wells. Overall he is 18-2 this year on the men’s tour. Sunday’s win was also his fourth victory at the ATP Masters 1000 tournament in Miami. Isner suffered an injury to his left foot and wound up limping in the final few points of the match. Before the post-match presentations, Federer went over to Isner to make sure that he was OK. “I love standing here with John, he’s a great player and great person,” Federer said. The 37-year-old has had a long history at the Miami tournament, playing it first as a wild card 20 years ago. He took home the titles in the event in 2005, 2006 and 2017 before it moved from Key Biscayne to the home of the Miami Dolphins. “That’s unbelievable,” Federer said of winning again in Miami. “I played here the first time in ’99 and I’m back here in 2019. “I’m so happy I came here because it was really worthwhile. The family had a blast and to have such a big stretch means a lot for me.” Federer will look for win 102 when he plays in the Madrid Open in early May, and then Roland Garros for the first time in two years. The French Open runs May 26-June 9. Aaron Lynch’s return to the Bears is official. Lynch was taken by the 49ers in the 4th round of the 2014 NFL Draft, coming over to Chicago before the 2018 season. He started 13 games for the Bears, totaling three sacks, four tackles-for-loss, one interception and eight QB hits. 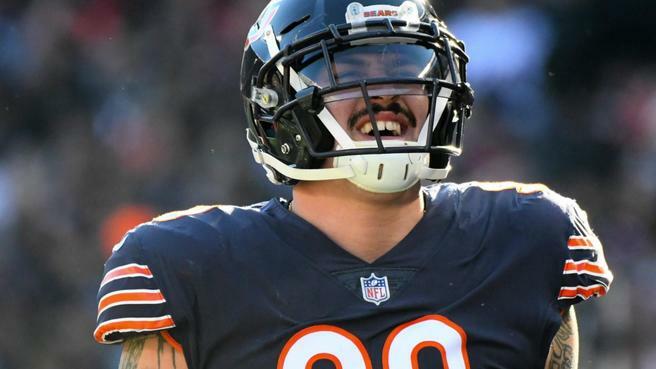 The move bolsters the Bears’ edge rushing unit, an area that Pace and Matt Nagy were surely looking to add upon this offseason. Lynch was productive while healthy last season, but a sprained elbow during the Bears’ NFC North-clinching win over Green Bay ended his year. He has yet to appear in 16 games since his rookie season in 2014. Lynch will play an important role in 2019, provided he can stay healthy, given Mack and Floyd can’t play every snap (Floyd played about 75 percent of the Bears’ defensive snaps in 2018; in Mack’s 14 games, he played 83 percent of the Bears’ defensive snaps). But in terms of how the Bears generate pressure on opposing quarterbacks, things may look a little different under Pagano even if the personnel is largely similar to what it was under Fangio. Pace hinted as much when discussing the Bears’ edge rushing depth last week at the NFL Annual Meeting in Arizona, six days before Lynch was brought back. Phillies outfielder Bryce Harper, the No. 1 overall pick by Washington in 2010, makes his return to the nation’s capital when the Nationals host Philadelphia. Harper made his debut with the Nationals in 2012, was the National League MVP in 2015 and was named to the NL All-Star team six times in Washington. He signed a 13-year contract with the Phillies in late February. Adding to the hype is that three-time Cy Young Award winner Max Scherzer will start for the Nationals and will face Harper for the first time — the first of many encounters, no doubt. Scherzer (0-1, 2.35) is 9-2 in his career against the Phillies in 17 starts with an ERA of 2.64. 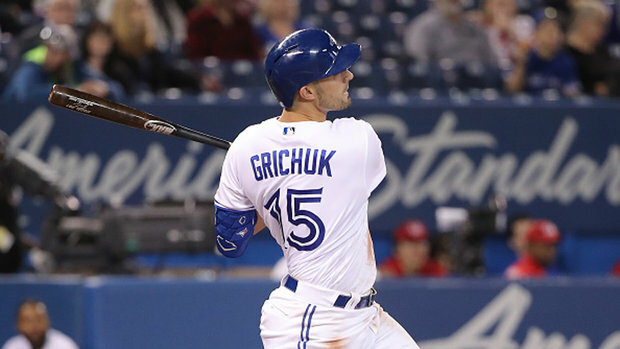 Last year in three starts against the division rival, he fanned 30 with six walks. Harper has never faced Scherzer in a regular-season game, though they faced off in batting practice sessions in Florida during spring training. The starting pitcher for the Phillies is right-hander Zach Eflin (11-8, 4.36 ERA in 2018), who is 1-1 with a 5.93 ERA in three career starts against Washington. Harper launched his first homer with Philadelphia on Saturday — a 465-foot shot at home against the Atlanta Braves. The exit velocity was 113.7 miles per hour. Teammate Rhys Hoskins said he could not hear himself think on the on-deck circle as his new teammate trotted around the bases. 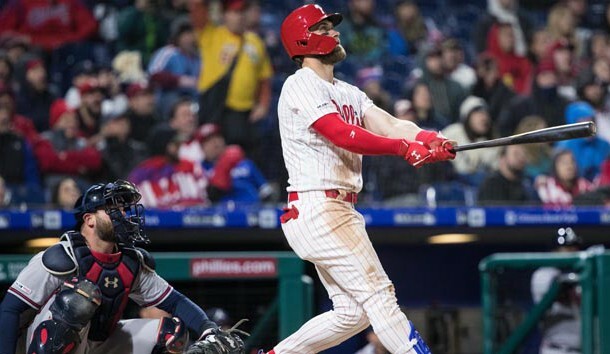 Harper (.333) had two hits, including his second homer, Sunday night in a 5-1 win as the Phillies completed a three-game sweep of the Braves. It may be loud Tuesday night in Washington — but not all cheers will be for Harper. Nationals manager Dave Martinez is looking at the big picture. He was limited to just six games in 2018 due to a concussion and a neck injury. Overall, he played in 138 regular-season games, starting 113. 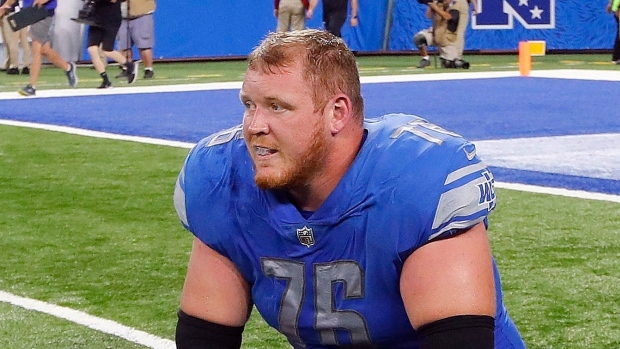 By releasing him, the Lions saved $8,843,750 in cap room and avoided paying him a $750,000 roster bonus that would have been due at the start of the league year.